Life certainly ends. But, some of us live after death. Society gets from them endless inspiration always. Smt. Shailabala Pujari is one such person. She has defeated death on her demise and merging with the elements, has become omnipresent. She was the most lively and brave person I have ever seen, next only to my mother. She was terminally ill and knew that the time was not distant when the new phase she was to enter would be called death. People are mostly afraid of death. But she was never. When I had met her in her Bhubaneswar residence, she was in winning smiles, though what others call ‘pain’ was trying to overwhelm her. I was astonished by her composure and personality that was in clear control over the pain. The last time I saw her was when Additional Solicitor General of India Ms. Indira Jaisingh received felicitations from her hand at Bhubaneswar. 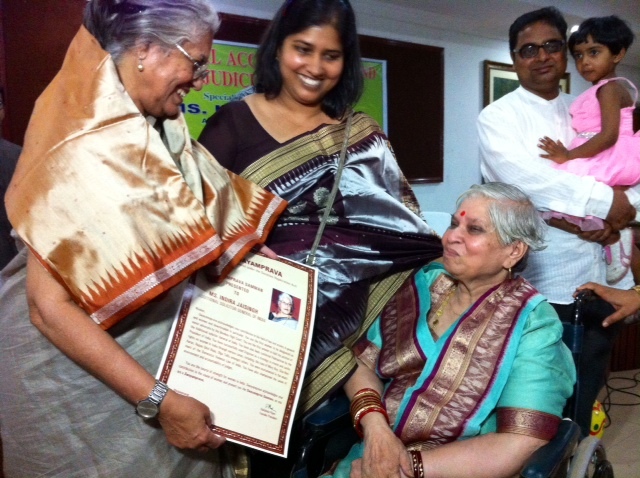 She was in the wheel chair and Ms. Jaisingh had come down from the podium to her to receive the same. Except being limited to the wheel chair, she was her usual self of limitless confidence and composure. Indian wisdom has got expression in the words of Sanatsujat saying “Mrityunastiti” meaning there is no death. Life gets a new form by death, he says. Shailabala has entered into a new form. With journalist Deviprasanna Nayak, I had been to Rourkela to pay respects to her new form. And, as we were coming back today, Devi asked, “are the clouds in tears”? I kept mum. He looked at the rain-drenched high way, and resigned to silence again. The car was moving ahead. I came across a very sad news (16th July). The news of the last journey of Sailabela Pujari from this world to a land unknown and as mysterious as ever. Saila was a good friend of mine from the college days. She was a student leader with courage and conviction. As a lawyer she was not running after earning more money and was always fighting for a cause. She was always a writer with fire in her pen. 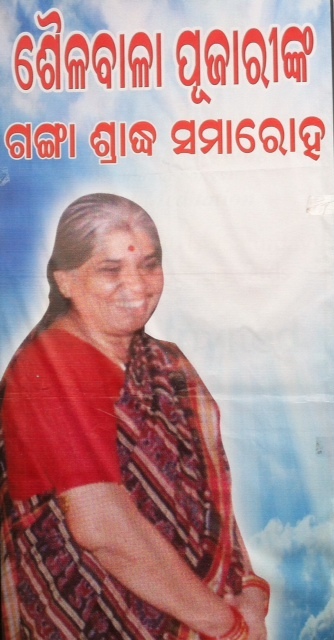 Both she and her brother, Prof Karthik Rath, were very close to my heart. I met Saila in the recent past, in the birth centenary celebration of her father-in-law, Lal Bihari Pujari. I had the privilege of presiding over that celebration meeting where Indira Jaisingh, advocate reminiscence was the chief guest. The following day, I met her when she felicitated Indira in another meeting organised by the Progressive Lawyer’s Association. I fondly remember her and with her departure I have lost a good friend of mine. I must thank you for your tribute to that immortal soul. Please convey my condolence to Govardhana Babu as I do not have his phone number with me and I am far away from Odisha.